We provide professional crash repairs for all types of vehicles, restoring minor and majorly damaged vehicles back to new. Webbs Auto body has been carrying out automotive crash repairs and automotive body work since 1994. 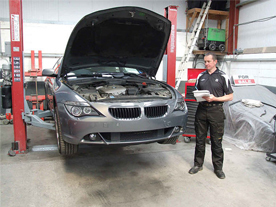 We are a custom built crash repair shop situated in Tallaght, South Dublin 24, catering for Greater Dublin area. Our crash repair work as our customers will testify is impeccable, we will treat your vehicle as if it was our own and return it to you in showroom condition. We are equipped to carry out car body repairs, scratch repairs and paint work on all makes and models of vehicles. Alos when it comes to car bumper restorations, there is no better company to do to in Dublin. We also cater for light commercials, Mpv’s and Suv’s. We are only a short distance from the M50. Find how to get to us on our map or contact us for further information. Looking for the best Car Scratch Repairs services in Dublin? You’ve come to the right place, our team of experts at Webbs Auto Body can repair all major and minor scratches for all types of vehicles back to showroom finish. Untreated scratches can make your paint work dramatically deteriorate over time. This can then also cause other issues such as rusting which will immensely decrease the value of your car. Save money in the long run and maintain your vehicle’s value with our expert scratch repair services.